Nothing quite as cute as a boy and his dog! They are both basking in some nice afternoon sunlight streaming in from the windows. 17 months, 4 weeks. Love a dog that is gentle with children. 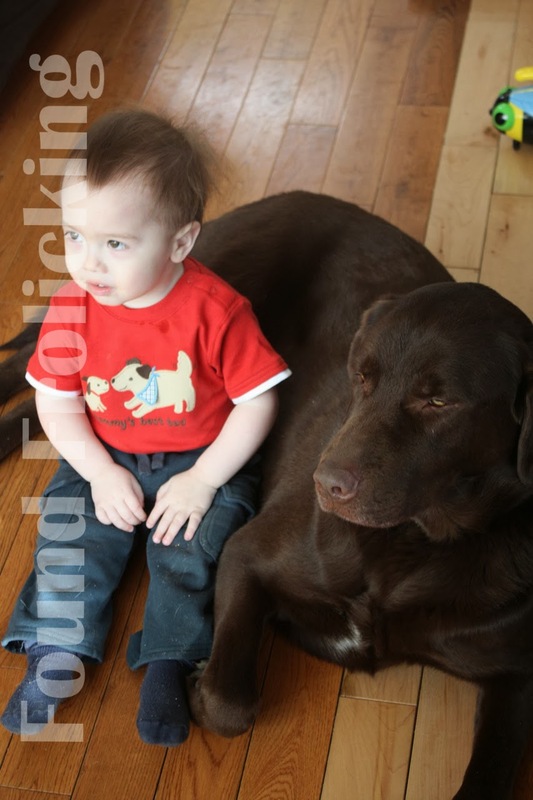 Your dog looks like he or she is patient with kids climbing all over him or her. My husband is allergic to cats and dogs so we'll never have one of our own but my parents have an incredibly lovable boxer-bull mastiff. We can't wait to see how our little one interacts with him. My 18 month old niece can climb all over him and it doesn't phase him a bit!